WHEN: Friday, April 5, at 7 p.m. Adults and children alike will be thrilled by the breathtaking artistry and dazzling athletic feats of the Golden Dragon Acrobats. From tumblers, to jugglers, to contortionists and more, the performance offers the best of a time-honored Chinese tradition that began more than 25 centuries ago. Recognized throughout the United States and abroad as the premier Chinese acrobatic touring company, the Golden Dragons combine thrilling acrobatics, traditional dance, spectacular costumes, ancient and contemporary music in an unforgettable performance of spectacular skill and spellbinding beauty. WHEN: Sunday, April 7, at 3 p.m.
New York City’s original, award-winning improvised musical comedy comes to Branchburg in a show that’s a cross between the Tony Awards and Whose Line Is It Anyway? Every song is fresh. Every scene is new. Every night is different. It’s all improvised and it’s all funny. Join the fun as master improvisers gather made-up hit song suggestions from the audience and create a spontaneous evening of music, humor and laughter. Cast your vote for favorite song, and watch the cast turn it into a full-blown improvised musical, complete with memorable characters, witty dialogue, and plot twists galore. You could help write the next great American musical. WHEN: Tuesday, April 9, at 1 p.m. & 7 p.m.
Rhonda squeaks by in life with a pile of self-help books and coaches in every corner. Why can’t she function normally in the world? When a mysterious pain dismantles her coping strategies, Rhonda embarks on a journey that leads her to the Paris Opera, Mozart and the ultimate face-off—with her brain. This funny and moving piece takes audiences on a triumphant, autobiographical journey through the trials and tribulations of being different, and ultimately to self-discovery and healing. Dive into the shape-shifting landscape of the mind as Rhonda unscrambles a hidden medical mystery and encounters the truth of her baffling and bewildering world. 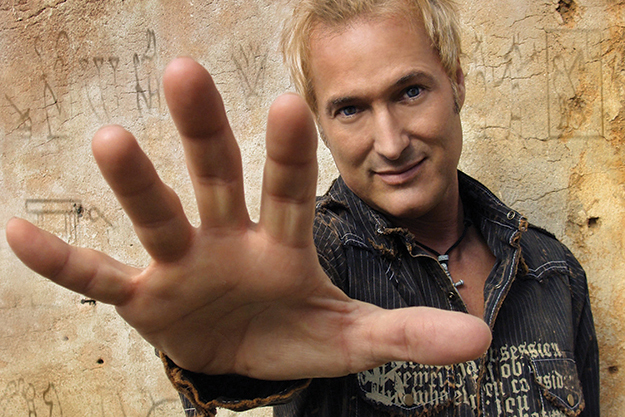 Kevin Spencer is a world-renowned illusionist with dozens of accolades to his credit. The family-friendly, relaxed performance—offering an inclusive environment that is welcoming for all theatre audiences—is brimming with fast-paced magic and illusion guaranteed to capture the imagination. Audience members are selected to act as his on-stage assistants, so this could be your chance to be in a magic show. Spencer’s reputation has taken him around the world with performances in 38 countries on six continents. A six-time recipient of Performing Arts Entertainer of the Year honors, he was named 2015 International Illusionist of the Year and 2009 International Magician of the Year.